Time after time the question clients ask Muskogee will drafting attorneys is, “Why did I wait so long?” It’s an easy question to understand. Few of us want to think about our own end-of-life matters. Yet, if you don’t think about estate planning now it could leave your loved ones in a frustrating place called probate court. The services of a thorough will drafting attorney now can save you time and money down the road. It’s easy to find an online will drafting program, but your loved ones deserve to be protected by a document that is legally sound under Oklahoma law. Trying to save time and money now could leave your family short changed down the road with a will that doesn’t stand up in the probate process. If you’re looking to take the first step in planning your estate, it’s time now to talk to a Muskogee will drafting attorney at Wirth Law Office – Muskogee. If you’ve recently had a life changing event — perhaps a marriage, the birth of a child or even a divorce — it’s time to make sure your estate planning is up to date. 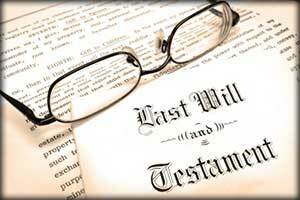 A Muskogee estate planning lawyer can help answer any questions you might have about wills and the probate process. There are many intricate, confusing, and unique laws in the state of Oklahoma. That is why it’s time you contact a qualified and thorough will drafting attorney to see what is possible for your estate. Muskogee will drafting attorneys work toward two specific goals for estate planning clients. First, the experience, expertise and professional knowledge of a skilled Muskogee attorney can help you reduce or eliminate death taxes for your heirs. Secondly, your estate planning attorney can advise you to the many legal instruments and strategic planning techniques that can help to possibly avoid probate. Two goals that could help your family and loved ones benefit greater from your estate. Contact a will drafting lawyer at the Wirth Law Office – Muskogee for a confidential consultation today at (918) 913-0725 or call toll-free at (888) 447-7262. If you prefer to contact the Muskogee attorneys by email, use the form at the top of this page. Either way you find us, it’s the first step toward protecting your family’s financial future.